This is Robert Harling’s account of his close and enduring friendship with one of the twentieth century’s most iconic writers, a relationship forged in the Second World War that helped define the lives of both men. Their paths met in the early 1940s upon the creation of 30 Assault Unit, a British Commando unit Fleming founded and ran. ‘Fleming’s Secret Navy’, as it was known, was formed to work on the front line to capture enemy equipment, intelligence and codebooks before these could be destroyed. While Fleming was based in London, Harling, his second-in-command, operated on the front line. 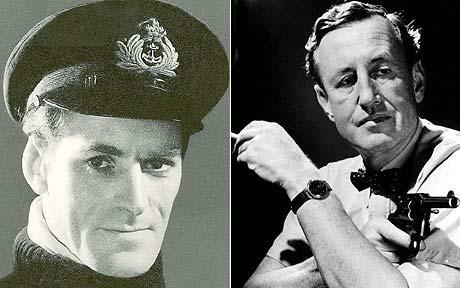 The war made the men fast friends, and Fleming would later write Harling into his Bond novels Thunderball and The Spy Who Loved Me, as well as leaving him money in his will. Despite the author’s relationship with his subject, this book is a searching psychological investigation, and frequently critical of its protagonist. Indeed, as the narrative develops, Fleming becomes a tragic figure; his magnetism and charm often tempered by bouts of depression and failing health, and a deep-rooted misogyny, which meant that his relationships with women were destined to end in failure and recrimination. In this extraordinary memoir, which the author stipulated should not be published before his death and which features a cast of characters from General Patton to Noel Coward, Evelyn Waugh and John Betjeman, Harling brings a unique and authoritative perspective to a compelling subject, immeasurably enhancing our understanding of both Ian Fleming and the character and world of James Bond.